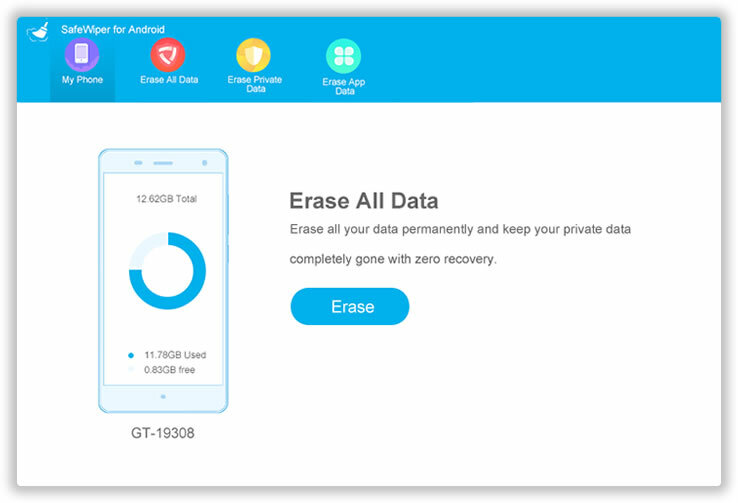 Built with the most powerful data erasing engine, TunesBro DroidWiper is currently the best program to delete files from Android phone or tablet. No matter what kind of data or content you to wipe from Android, TunesBro DroidWiper is in here for help. You can erase all content and settings from the phone before selling or only remove the ones you selected. Have sensitive chat or conversation in SNS? No problem, you can delete all of them with 3 clicks. 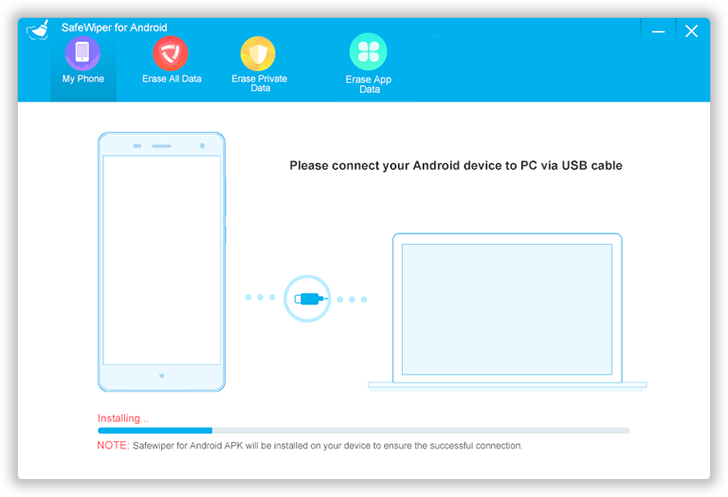 Removel all content and settings from Android device. More secure than factory reset. Including photos, messages, contacts, call log, music and videos. 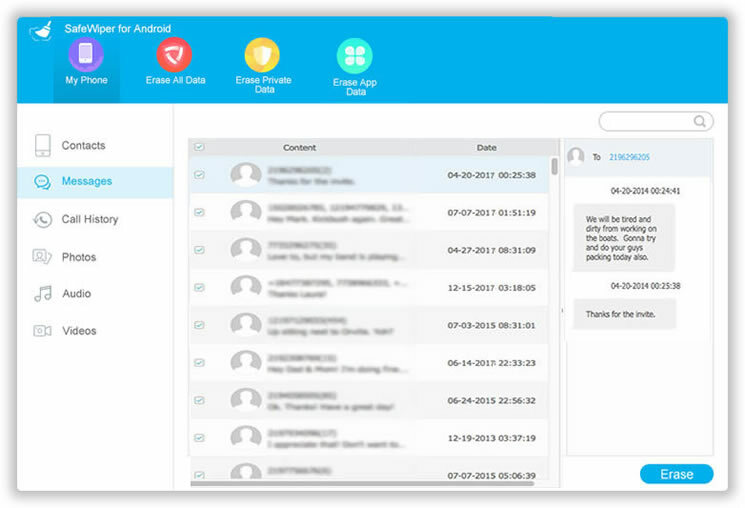 Delete sensitive data from apps such as Facebook, WhatsApp, Skype, Kik, Line or Twitter. Make sure all deleted files are gone permamently (coming soon). Unlike the other suggestions that are quite complicated to understand, TunesBro DroidWiper is the easiest solution you can go with. It has a very clean user interface and you just need to make a few mouse clicks to get the job done. Then all selected content will be deleted completely. There are a lot of important and private staff on Android phone. Sometimes you need to delete some of them. It would take countless effort if you chose to do it manually. That would be much easier with automated software. That is why TunesBro DroidWiper comes into help. The more file types supported by TunesBro DroidWiper, the better the program is. We all know about it and we tried our best to add as many as possible in this program. 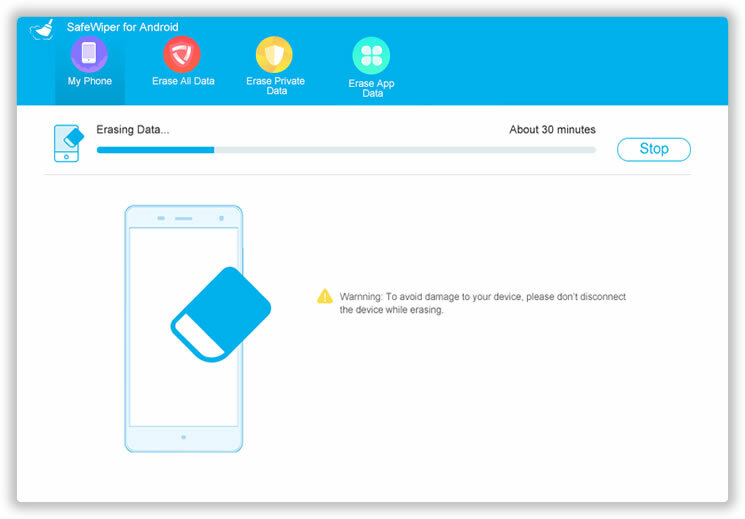 In most cases, only part of the data on Android is required to be deleted. This varies for different users. With this in mind, TunesBro developed a preview function in DroidWiper. That means you have the choice to preview the content before erasing. One of the bigggest advantages with this preview function is that you will not mistakenly delete the files you don't want to delete. So everything is under well protection. It would be a big loss if you just erased the wrong file. 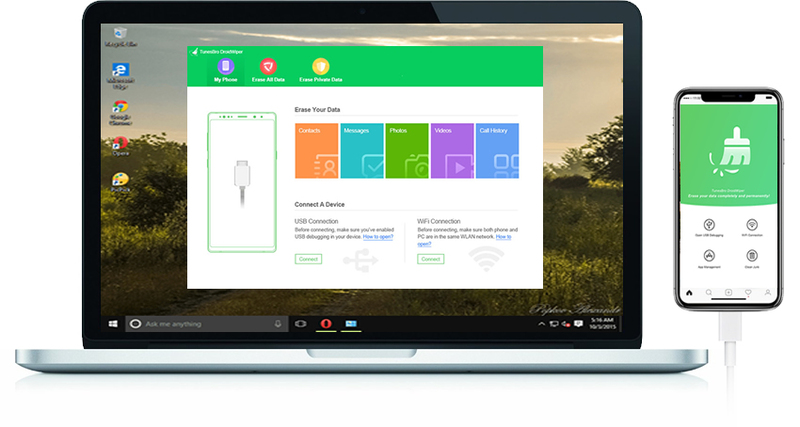 No matter the device is powered by Android 4.4 or the latest Android 7.0, TunesBro DroidWiper has all good support for those devices, including Samsung, LG, Sony, Moto, OnePlus, Xiaomi, Huawei etc. Galaxy S8, S7, S6, S6, Note 8, Note 7, Note 5, Note 4 etc. U11, HTC 10, M9, M8, A9, E8, Desire EYE/510/520 etc. G6, G5, G4, G3, V30, V20, K20, K10, G Flex, G Pro etc. Moto Z, Moto X, Moto G, Moto E, Moto G Plus etc. Pixel, Nexus 6P, Nexus 5X, Nexus 7, Nexus 10 etc. Xperia XZP, XZ, XA, Z5, Z3, C4, M5, M4, E4 etc. "I can still find my personal contact lists through Android data recovery software after factory reset. So I am sure factory reset is not enough. Then I downlaoded TunesBro DroidWiper and used it to erase all data from my Android phone. This time, all the content and settings on the phone were deleted completely."